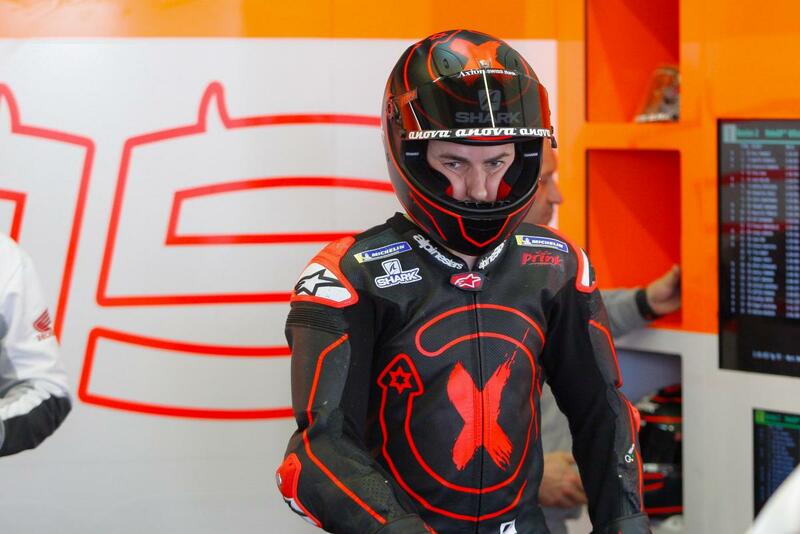 New Repsol Honda rider Jorge Lorenzo went under the hammer on Monday, just two days ahead of the launch of the 2019 MotoGP bike. Jorge Lorenzo’s second half in 2018 MotoGP season was laden with injuries – whether it was his foot or his arm. Post the season, the Spaniard underwent a surgery on his foot and was looking towards the 2019 MotoGP pre-season tests. His preparations though took a hit when on Sunday it was revealed that Jorge Lorenzo fractured his left scaphoid on his arm during training in Verona, Italy after a fall. The worst part is the surgery he had to undergo to get it sorted before the 2019 season commences. The MotoGP champion had the surgery performed on Monday where a ‘titanium screw was inserted via a minimally invasive technique’. He is subjected to stay in the hospital for 24 hours for further observation. A further four days will give the injury enough time to heal. His physiotherapy will begin only after the rest but he will be present at Honda’s 2019 MotoGP bike launch on Wednesday (January 23) in Madrid. However, the team and Lorenzo have elected to not ride during the Sepang MotoGP test between February 6-8. The launch event would be Jorge Lorenzo’s first major public appearance in Honda colours alongside his new teammate Marc Marquez, while his first run on the proper 2019 machinery will only be now in Qatar (February 23-25) – if he is ready by then. Not only it affects Lorenzo but also the Japanese manufacturer who would have had more data to gauge with the Spaniard running. As such, they will have Cal Crutchlow also on the 2019 bike with Marquez – it remains to be seen if they have any other rider testing.